During much of the twentieth century, informal employment and entrepreneurship was commonly depicted as a residue from a previous era. Its continuing presence was seen to be a sign of "backwardness" whilst the formal economy represented "progress". In recent decades, however, numerous studies have revealed not only that informal employment is extensive and persistent but also that it is growing relative to formal employment in many populations. Whilst in the developing world, the informal economy is often found to be the mainstream economy, nevertheless, in the developed world too, informality is currently still estimated to account for notable per cent of GDP. 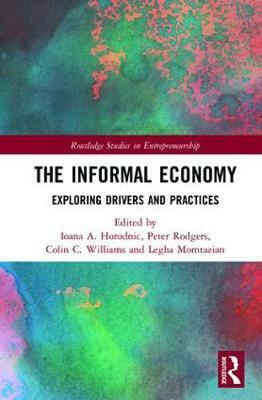 The Informal Economy: Exploring Drivers and Practices intends to engage with these issues, providing a much-need `contextualised' approach to explain the persistence and growth of forms of informal economic practices and entrepreneurial activities in the twenty-first century. Using a diverse range of empirical case studies from Europe, Africa, North Africa and Asia, this book unpacks the different varieties of forms of informal work and entrepreneurship and provides a critical analysis of existing theorisations used to explain such phenomena. This book's aim is to examine the nature and persistence of informal work and entrepreneurship, across a variety of empirical settings, from within the developed world, the developing world and within transformation economies within post-socialist spaces.